Hometown: Sioux City, Iowa, where her parents, brother, and his three kids still live. Lindsey’s family makes the 4 to 5 hour drive to see them almost monthly. Family: Husband, Bobby, and two kids: Andrew (3) and Kathryn (18 months). Studied child psychology at University of Wisconsin-Madison and worked in inpatient child psychology for a few years before going into nursing. Studied nursing at Saint Catherine’s in Saint Paul. Worked in pediatrics at the University of Minnesota for a couple years. Moved to San Francisco to complete advanced practitioner studies at the University of California, San Francisco. Spent four years in San Francisco, where she married her husband and had her son, Andrew. Current Home Turf: Lives in Minneapolis and is building a house on the Eagan/Inver Grove border, which will bring her closer to the clinic. She’s excited to run or bike to work! 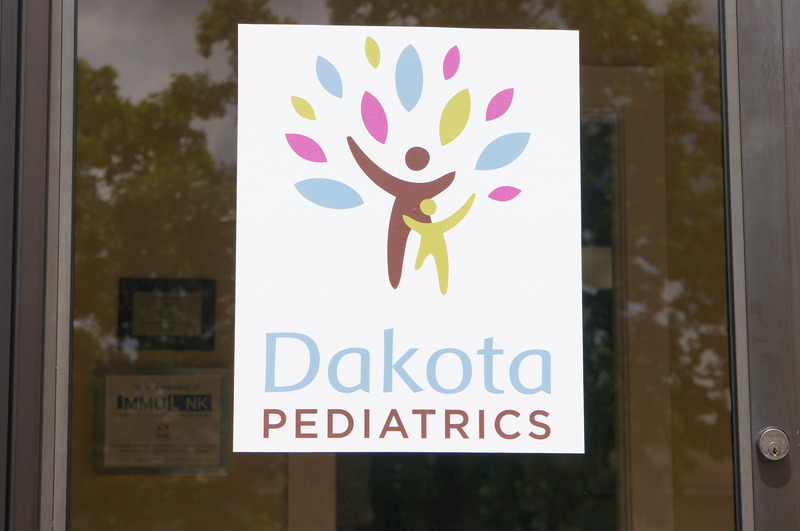 Can you tell us a bit more about Dakota Pediatrics? 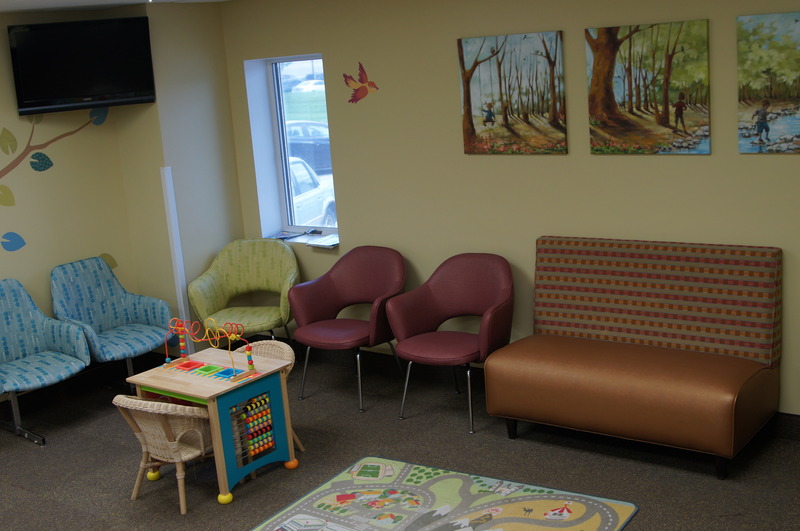 We are a small private pediatric practice located in Inver Grove (and I see patients at Health Foundations as well). 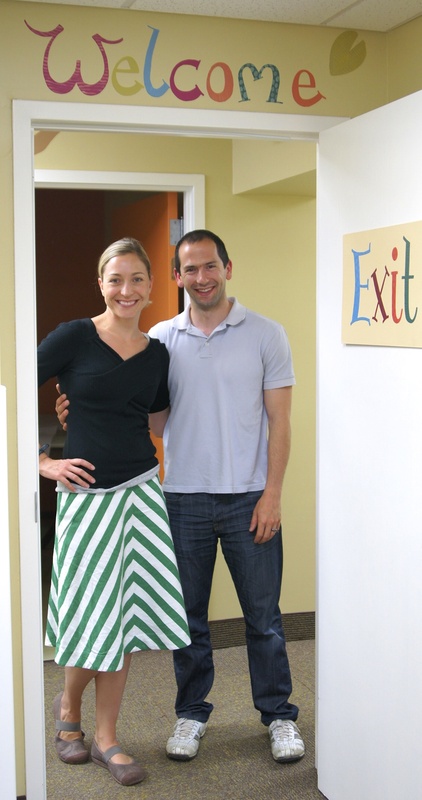 The practice was founded by my mother-in-law and we had always planned on working together. Unfortunately, she died suddenly of cancer, so now I own and operate the clinic with my husband, just like his parents did 30+ years ago. 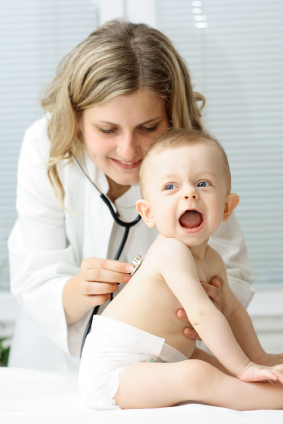 Vivian Rider is our pediatrician; she’s been practicing in the area for over 25 years. For a long time, she practiced at a small clinic that was engulfed by a large corporate clinic system. Once the clinic transitioned to new protocols, she was seeing about 30 patients a day and would often get in her car at the end of the day and just want to cry—it was just a horrible way to practice medicine. But now, she loves practicing in our atmosphere here and believes that she is practicing medicine the way it should be done. We have three medical assistants, Leann, Kao Song, & Chrissy, who are all trained in pediatric primary care and triage. They can handle the most common issues, and if they have questions about something they haven't seen before, they always come to us for guidance. 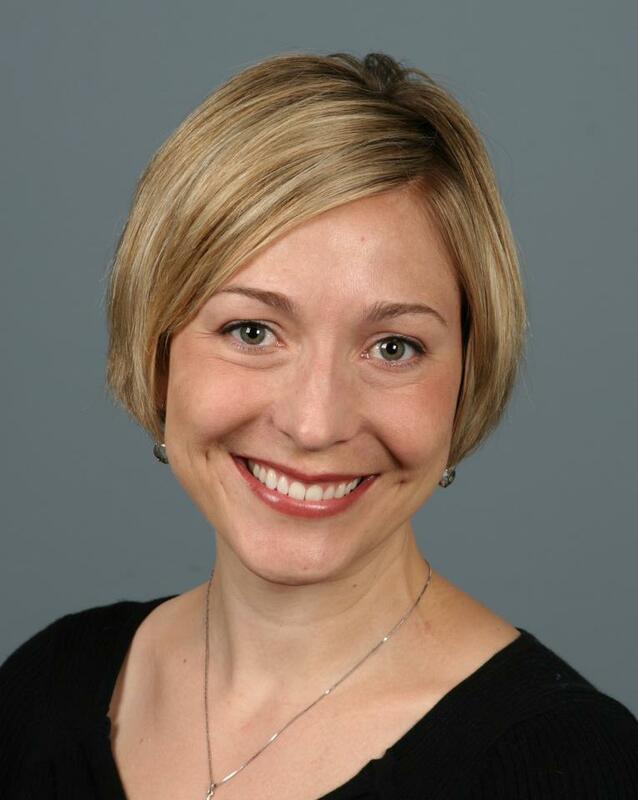 And we have an in-house billing and referral specialist, Deb, who has been with Dakota Peds for over 20 years. Jenny is our receptionist, but also handles some billing and administrative duties. Bobby’s aunt Linda, who is also an LPN, is our special projects coordinator. And Bobby helps me with almost everything else that goes on "behind the scenes" or outside of the patient room in our case…so he’s like a jack of all trades and, like myself, is always available to any family if they have an issue or concern. Though we are small, we have a robust electronic medical record (EMR) that helps us provide better care and more services to our families. Compared to a practice that still uses paper charts (many of them that still do! ), our EMR helps take care of the busy "paperwork" more efficiently, so we have more time to devote our families. Our EMR also gives each patient an online portal account where they can see their medical records and shot records, schedule appointments, see lab results, etc. We have two patient care coordinators (social workers) who come in once a week—they can get families lined up with services that they may need or help navigate complex cases involving multiple care providers, such as situations of chronic illness, where families are maybe feeling overwhelmed and need some extra help. We operate an on-site lab that performs the most common tests, such as blood draws, urinalysis, urine cultures, rapid strep screens, etc. right in the clinic. Any complex test that we can't handle in-clinic is sent to an outside lab (almost every clinic does this) and our courier comes twice a day so we can get urgent tests back very quickly. We receive all our lab results electronically, so we get them very fast and the results are automatically posted to the patient's online portal account and an email notice is sent the family, so it's a pretty convenient feature of our EMR. I anticipate that we may bring on another provider possibly within the year. I am not sure who that person will be yet, we’ve talked about family practice and sort of expanding that way a little bit. So we’ll have to see. How did you get connected to Health Foundations? I approached Amy not too long after I moved back from California—I was trying to get to know other people in the area. Also, as a pediatric nurse-practitioner, and just personally, I really believe in natural birth (I had my kids naturally with a midwife) and I really believe in the midwifery model of care. 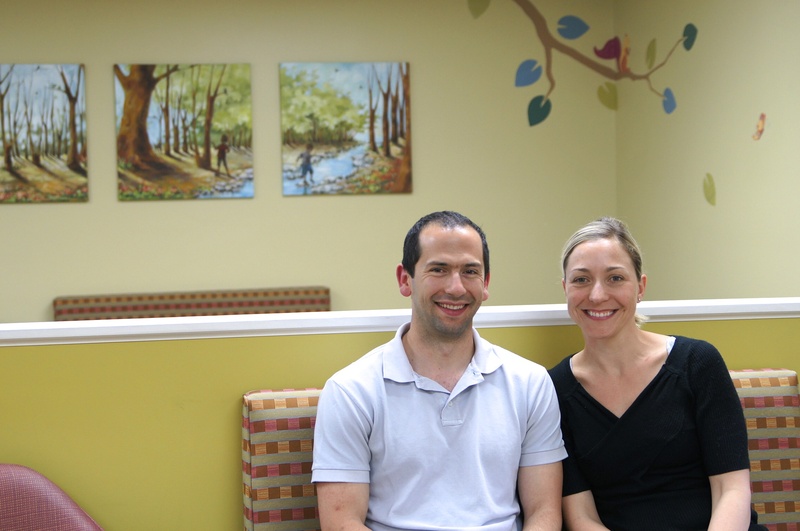 So I knew of the Birth Center, and I approached Amy, just to meet her. We seemed to hit it off from our first meeting. And I think it was during that meeting that she brought up possibly working together—so things just slowly evolved from that point on. I actually just saw the baby I did my first home visit with—he just turned one. I’ve been doing home visits for a year and I have been at Health Foundations since February 2013—and I am really enjoying it. How has your experience working at Health Foundations been so far? It’s been really great. Obviously, the entire team here is really warm and welcoming. I like the atmosphere, its nice to be here and see people who really appreciate the Center for what it is. My appointment times are a little longer here so I feel like I really get a good amount of time to see people. The thing that I enjoy the most is home visits, which are done 6 to 10 days postpartum. It’s so nice to see people in their home environment—I get to know my patient families on a little bit different level and its nice to be able to sit and chat and not feel like you are in a clinic setting. Even though I feel like our clinic is very inviting, it is still really nice to be at home with your newborn and not have to leave. Also I think that home visits fit really well into how Health Foundations does their postpartum home visits—someone comes to you at 24 hours, at three days, and then I come a few days later, then [the family] is back at Health Foundations at 2 weeks—so its good continuity of care that way. How about going forward at Health Foundations? Well, long term, I would love to have another location here in St. Paul and I can see that happening if things keep moving in the right direction. I don't have any real specifics on when or how that might work, but I've really enjoyed working with Amy and the Health Foundations staff. So, I would hope that if we expanded further in Saint Paul, we would continue or strengthen our working relationship with Health Foundations. What do you love most about working with kids and families? I have always wanted to do primary care. I’ve worked in several different hospital settings and I’ve always worked with kids. I realized at some point, while I like working with people in the hospital, I really wanted to see kids grow over time and get to know parents and families. Being in a small practice, that’s something we can really do, and I think it’s really hard to come by these days. That is, building a relationship with your provider and feeling like you are not a number when you come in. I really like the preventative care part of my job. Growing up, my mom was always very prevention minded—she always talked about being healthy and active—how taking care of yourself now pays dividends in the end. We had a big edible garden, we composted and canned so we had healthy food to eat all winter. Being healthy and taking care of myself and my family is a big part of who I am. For me to able to share that with the families I serve is probably one of the things I like the most. Especially today, because everyone is so busy and there is less time. I strive to provide people with efficient ways to be healthy—easy things you can do here and there. How does being a mom shape your practice? Oh, huge, it’s huge. My work before kids and after kids looks completely different. It actually caught me off guard. 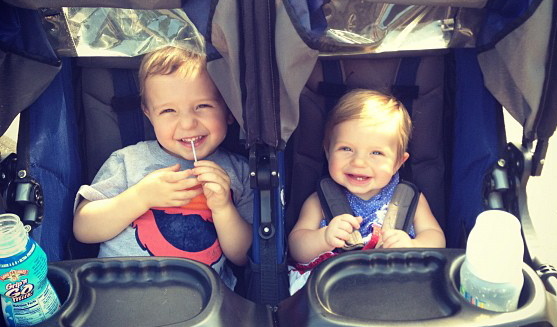 Before I had my son I never realized that I would lose all objectivity in caring for my own children. After kids, my empathy level went up even higher than before—I worked in pediatric hematology and oncology before I had kids and I don’t think I could do it again. I am a worrier by nature—I would say that I worry about my patients a lot. And I think that makes me a better provider, but it’s increased since I had my own kids because, now more than ever, I feel how important of a job it is to take care of other people’s kids. I feel honored to take care of other people’s kids. And, as a parent, I hope that anyone taking care of my kids really takes it seriously, because it’s a big deal. I think having kids has ultimately made me a better provider. I can definitely relate to everything people are going through—being up in the night, worrying about your child for this or that, yeah, all the experiences of having young kids. How would you describe your style of care? I really believe that the entire family is my patient. Trust is a big component, too. I hope people find me to be a really down-to-earth, approachable, trustworthy person. I am really into relationship building. And I want people to know that if I recommend something, its really coming from a good place and something I feel is important. I want people to feel included in decision making whenever possible. It drives me crazy when people come in and they say they’ve been to someone else who was “scolding” them about something—that’s a word that people use a lot—or giving them a hard time or judging them. I just think that no matter what the topic, doing that is so unhelpful. I might not always agree with everything my families do but I certainly respect their decisions and I want there to be open discussion around everything. I never want anyone who comes to me to feel judged. In addition to that personal level of care we talked about, what are some of the benefits of a small practice setting? Calling someone like us versus calling a larger corporate clinic to make an appointment, you are going to have a very different experience. With us, you will probably get someone that you have talked to before, you’re going to be able to make the appointment then, and you are probably going to be able to get in when you want to get in. If it’s important, we will fit you in or we will stay late and that is not something you’re always going to get at a bigger clinic. And the other big thing is that if you want to get a hold of us, you can. Vivian or I are always on call at night, and during the day our staff is great but if you want to talk to one of us just say so when you call. There is not a run around, you are not going to get bounced all over the place to get your needs met. For billing or insurance issues, any of my staff members can handle most issues, otherwise Bobby handles him. And I've seen him email families with an answer at 11 pm or on the weekends, so it’s much simpler here. We’re a small staff that takes care of you as best as we can. I really hope that we convey a family atmosphere, that people feel welcome and comfortable when they come to us. I know Dr. Rider feels the same. And I think our practice is unique because we have a doctor and a nurse practitioner—we come at health care from a couple of different models and I think it leads to a more holistic way of caring for people. She and I talk about patients together all the time and make sure we both feel like we are doing the right things. We’ve built a solid network of good specialists and colleagues we can call on when we need to as well. One final benefit is that we charge about 20-40% less than a larger corporate group for the same service or test. That's something not everyone realizes. Who wouldn't want more personalized service while saving money at the same time? What do you love to do when you are not taking care of patients? I’ve always been a really active person—I swam competitively, through college at Madison. Then I started running after that and I’ve completed several marathons and a few triathlons. I love spending time with my kids, especially outside. This summer, we’ve been going to lots of parks, going on walks around the neighborhood, and playing with neighbors. We also hang out with Bobby’s sister and family, their kids are 5 and 3, so they are close in age to ours. I love to knit, although I haven’t been doing it lately. And I love to read—I still read lots of medical literature, but I have enjoyed a couple of novels lately. I really, really like to cook. My favorite dish is a squash risotto with rosemary and its really good. And though I like it, we are challenging ourselves to go light on meat these days. As far as travel, my parents have a log home in the Black Hills in the middle of nowhere, so we try to get out there a couple times a year. I also try to get to Ontario, Canada’s Lac Seul to go fishing every year. How do you feel about seeing pregnant women/couples before baby arrives? I really love it when people come in before they have the baby—I always love that visit. It allows me to see them before and get a feel for them, and we can see if we’re a good match, which I think is really important. It’s good to know that ahead of time. 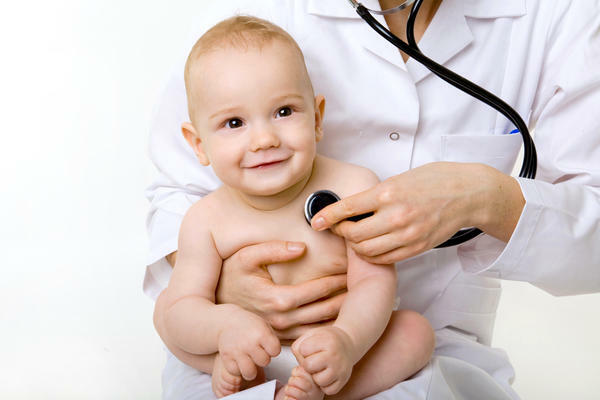 What do you recommend that families look for in a pediatrician? There are many things you should ask. If you are going to meet ahead of time, its good to really think about it and even write down the questions that you have. I do think it’s better when people are a little prepared before they come in. I can always speak to the things that most people ask me about, but that is not necessarily what everybody is wondering about. Everyone has some topics that are really important to them, for some people it is immunizations for others it’s antibiotic use. So, directly ask about those things. I think its okay to ask some personal questions too to get a feel for that person. Ask if they have kids. I think you should ask how long visits are and how easy it is to get in. Ask about how easy it is to get a hold of someone off hours. Because those are the things that, once you have the baby, make you feel better—to know if you can get a hold of somebody, to know that someone is going to have the time to answer your questions. And its good to ask about experience and education as well. What are your thoughts on well child visits? Some people ask “Are well child visits really that important?” I do think they are important for a few reasons. 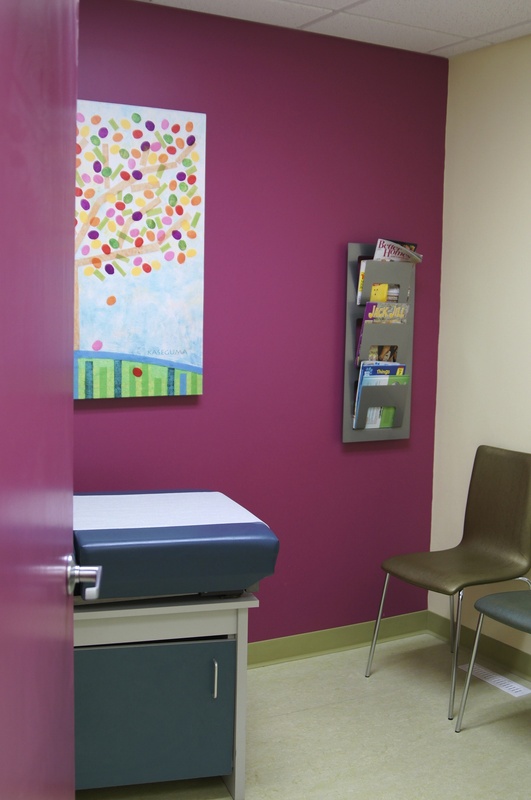 Some people are worried that they may get hounded about immunizations during these visits or that immunizations would be the only reason to go to a well child visit. And really, it’s more about questions and talking through things. And growth is really important to monitor, in the first two years especially,—to make sure the head is growing appropriately, that baby is gaining weight fine, etc. And well child visits can offer a lot of guidance—for example in terms of nutrition, making sure breastfeeding or bottlefeeding is going well. Well child visits are an opportunity to do a full exam and to just to look over everything. You might feel pretty bad, as a parent, if you knew you could have caught something sooner, but you didn’t go in. Plus, since preventative care is completely covered by insurance in MN, you've already paid for your physical through your monthly insurance premium. So if you don't come in for the physicals, you've basically given the insurance company $120-$200 per physical and got nothing in return. That's a lot of money to give away. I always tell people too, I am happy to sit and talk with parents but if someone wants to make it quick, that’s fine too! I’m into meeting people where they are at. Do you have any advice for pregnant or new mamas? I jokingly tell people, do everything you really like to do by yourself now. But I think it’s really important and something you don’t always “get” until afterwards. And do things together, because that changes. That change is good, but it’s different and things are never exactly the same again. And I always say, too, make sure you get a lot of rest in pregnancy. And as far as breastfeeding, you need be easy on yourself because it’s a new thing to you, it’s a new thing to baby and you have to figure each other out. That takes a little bit of time and it’s different for everyone. For new parents, take lots of pictures and really take it in, because it does go really fast. And I always tell my patients, don’t hesitate to call—no question is a silly question. That’s what I am there for, I don’t mind the calls and it’s much better than sitting there and worrying about something. There’s no point in that. If you can call, we can talk and you can feel better—it’s well worth it.